Finally! The weather is cooling down enough to break out my trusty crock pot and make the first batch of fall soup. Actually, you can make this soup any time you want as potatoes are available year round. I generally like soup during the colder months, but my dad can eat soup year round. Whatever floats your boat, right? Use cooking spray to coat your crock pot bowl or use a slow cooker liner bag. 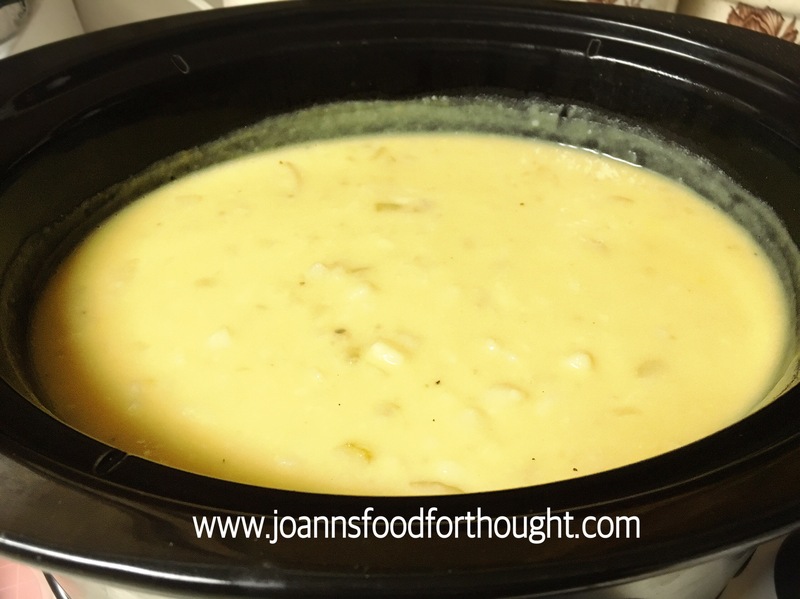 Mix potatoes, onions, celery, poultry seasoning, chicken stock and water in your crock pot bowl. Cover, cook on high heat setting for 3 to 4 hours. After 3 to 4 hours, mix flour and milk in a small bowl and add to potato mixture in crock pot until mixture thickens. Stir in shredded cheese until melted. 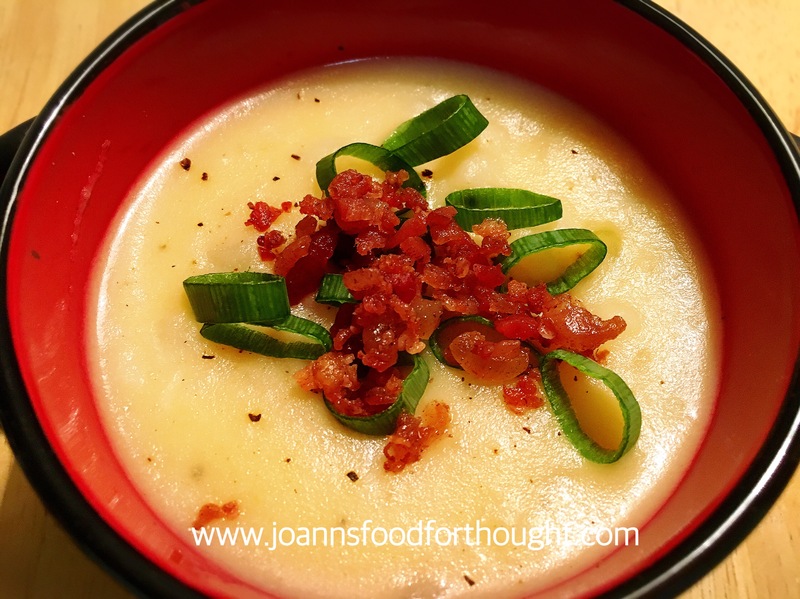 Garnish with bacon bits and green onions. Looks amazing…love the idea of the cheese. Meet again, where will we be as one again? Therapy, attempts at cooking, quite a way with words. Connected forever by this love, complex, alive, strong.